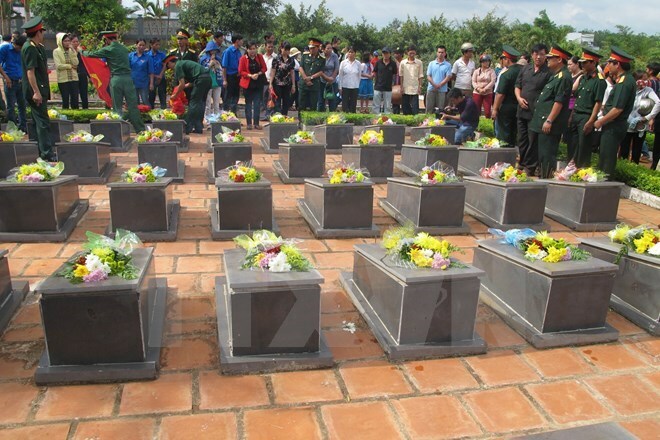 Authorities at all levels in the central province of Binh Dinh need to consider the search and collection of martyr remains a key and continuous task, a local senior official has said. During a conference on September 30 in Quy Nhon city reviewing the implementation of the plan for martyr remains search and collection from 2013-2015, Vice Chairman of the provincial People’s Committee Mai Thanh Thang urged relevant bodies to continue facilitating joint efforts in the work. Thang, who is also Head of the provincial Steering Committee for the search and reburial of fallen soldiers’ remains, called for better communication with associations of war veterans and former youth volunteers as well as the public to improve the work.